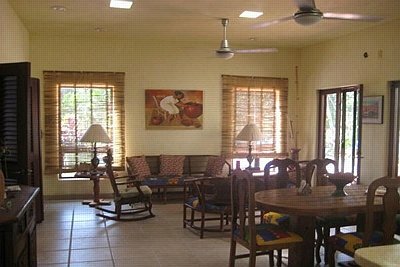 The one bedroom and 1.5 bath main house with open kitchen-dining-living area sits in the middle of a lush garden looking out to the pool, two additional bathrooms poolside with shower. Skylights throughout the house for plenty of natural light. Large windows in the living area look out to the pool and garden. Attention to detail was made when designing and constructing this special casa. An exterior beautifully tiled entertainment bar with sink and sitting area. There is private entrance to the main casa from the side street. Plenty of room for expansion. All furnishings included expect personal items and art work. 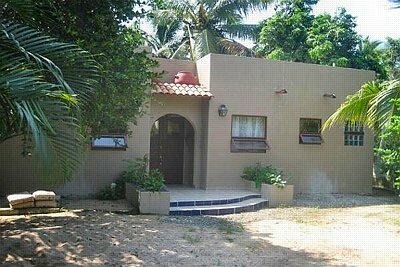 Separated by a wall within the same property are two additional casitas for your guests use or for rental income. These two casitas are located off the main road into town. There is plenty of parking with space for 3 vehicles. 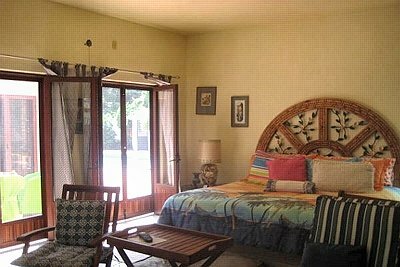 The main casita has 2 bedrooms with kitchen-dining living area and a laundry room. 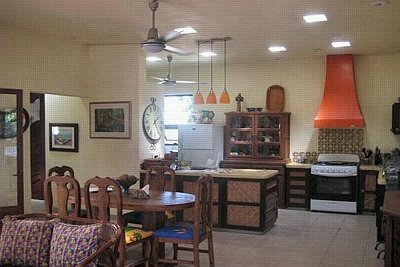 The 2nd casita features one bedroom with one bath and a open kitchen/dining/living area and covered outside terrace.